How did Coleridge actually read books? Few more significant questions can be asked about any man, and about Coleridge probably none. Coleridge...was reading Maurice, but he was doing more: he was also going back at first hand to the sources of Maurice's information. He made, accordingly, a memorandum of another book to read. 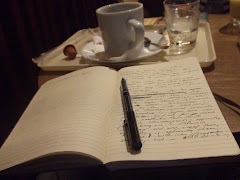 Coleridge (at least during the years of the Note Book) read with an eye which habitually pierced to the secret spring of poetry beneath the crust of fact. And this means that items or details the most unlikely might, through some poetic potentiality discovered or divined, find lodgement in his memory. 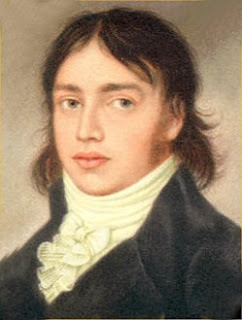 Coleridge not only read books with minute attention, but he also habitually passed from any book he read to the books to which that book referred. And that, in turn, makes it possible to follow him into the most remote and unsuspected fields. And his gleanings from these fields, transformed but recognizable, will meet us again and again as we proceed. For to follow Coleridge through his reading is to retrace the obliterated vestiges of creation. When Coleridge once started on a book, he was apt to devour it whole. We have to do, in a word, with one of the most extraordinary memoires of which there is record, stored with the spoils of an omnivorous reading, and endowed in to the bargain with an almost uncanny power of association. Even you and I, at vivid moments, know the sudden leap of widely sundered recollections, through some flash of association, into a new and sometimes startling unity. And that, assuredly in no less degree, is also the experience of poets.